Guess what! I went on a date!!! 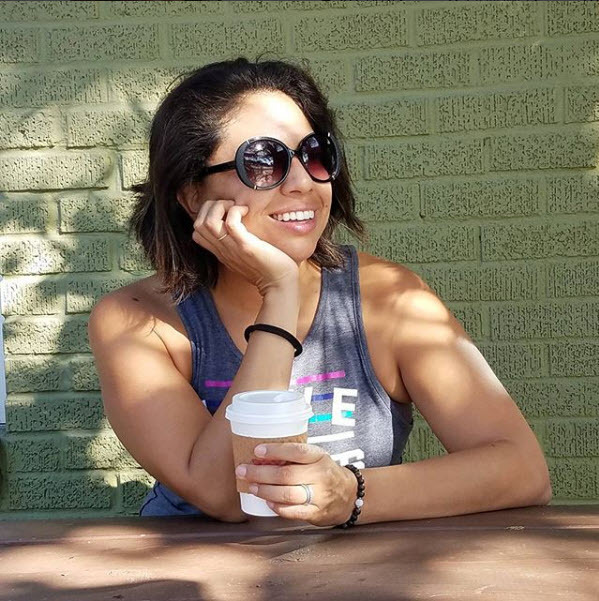 For Valentine's day, we usually plan and cook a fabulous meal at home, but for those of you following along, we haven't had the most opportune moment to plan for that outstanding meal, so we said, once we had some time, we'd go on a date. Well, Sunday early evening was the moment! I was ecstatic! First of all, our reservation was for 5PM. What, are we 60 or something? Ha ha...but really, we knew we were going to over-indulge and be gluttonous and we wanted to take our time. With that being said, we knew we would have to start early if we wanted to be home in time to get the Sugarbean down to sleep for the night. I wore a simple black dress with a champagne colored sash with matching champagne strappy heels. Why not, right? Our server was Terry, he was kind, patient, and very attentive. 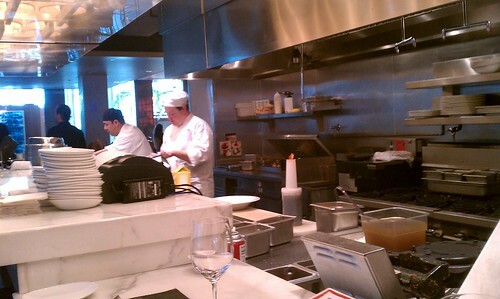 The water guys were on point (I didn't catch their names), our sommelier was friendly and knowledgeable, and the sous chef personally came by several times to talk about the food and inquire about our experience. The prep cook behind the counter in front of us, Juan, took the time to answer all of my questions about what he was serving/prepping. Remember when I said service matters, well, here at Central 214 it was unmatched. We were VERY impressed with their level of service. This is how we wanted to be attended to, especially after a couple of humbling weeks. It was almost nearly as good as being at the spa! 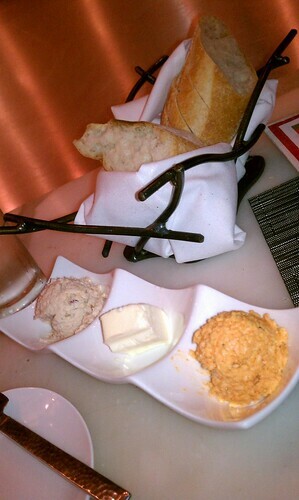 Shortly thereafter, tasty bread was brought to the table accompanied by tuna, unsalted butter, and a pimiento spread. We were then surprisingly presented with a generous amuse bouche, which featured many of their appetizer specialties. Here is where I have to say I was wowed by their attention to detail. I was asked by the chef if there were any foods I couldn't have. So nice! The plates were prepared for us based on that. NICE! 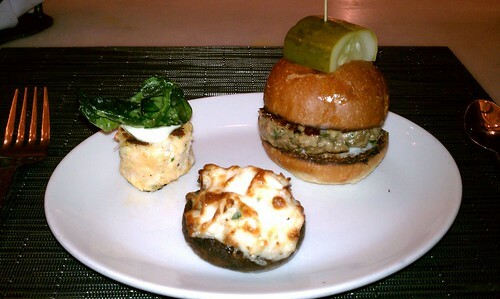 Mine consisted of a crabcake, a lamb slider, and a crab stuffed mushroom cap. The mushroom cap was perfection!!! The mini crab cake was cooked well and I loved the texture and crispness of the spinach leaf. Unfortunately, it was oversalted. The lamb slider was a disappointment. It was missing something, I'm not really sure what. It wasn't bad, but it just wasn't good. 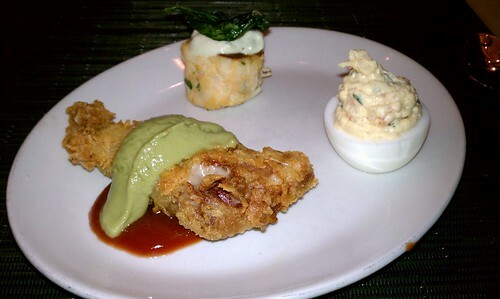 Don's included a mini crabcake, the shrimp and cayenne deviled egg, and crispy prosciutto wrapped cheddar. 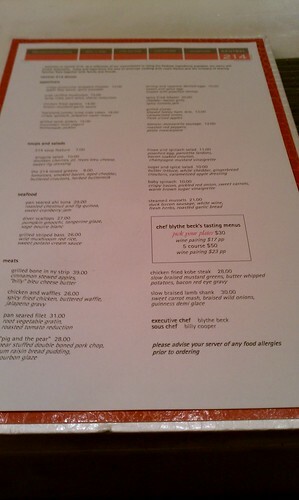 The deviled egg was so good that we actually ordered a full order! The wrapped cheddar was too greasy for me and just didn't stand out. Then again, I discovered, I don't really like chicken fried anything. Blasphemy for a Southern gal, but yeah. I like fried foods, I just don't like the breading, so I think if this wasn't breaded and fried, I would have liked it more. Don, on the otherhand, really enjoyed it. We both thought the spicy avocado sauce (green) was out of this world! You would think that would be enough, but it was just enough to whet our appetite. Remember I said we ordered a full order of the deviled eggs, well, they were yummy. I especially appreciated having the extra cayenne salt to sprinkle on top. yum-my! I ate them entirely too quickly to grab a photo. oops! We shared the soup, which they were kind enough to separate into individual cups so Don and I wouldn't have to share. (LOVE THAT SERVICE!!) It was a chocolate stout with marscapone cheese. They took a chocolate stout beer, mixed it with the cheese and placed a shaved piece of 75% dark chocolate in the center. I liked it. At first I was skeptical, but it worked, but it worked because of the dark chocolate. MAN, that chocolate really brought out the flavors for me. Part of me wanted to figure out how to make it at home, but thicker so I could use it as a dip or a fun fondue. 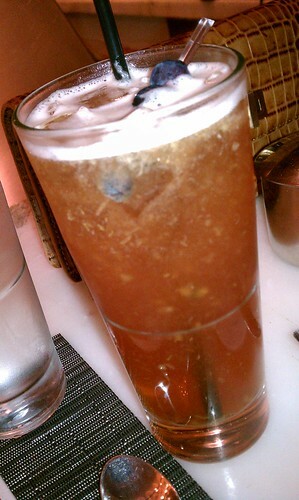 Don had the arugula salad: drunken cherries, bleu cheese, sweet fig dressing, arugula, and spinach. The drunken cherries were so good, I proclaimed them the very best cranberries I'd ever eaten (before I realized they were cherries, ha ha ha). Seriously, I liked how this salad blended together well. It was very similar to a salad that our caterer serves at work, but much, much better. The bleu cheese paired with the fig dressing really brought out the complex flavors of arugula, which was further enhanced by the drunken cherries. I'm so happy, look I'm food drunk! I was so giddy with the food we'd eaten so far, my expectation level was heightened. Don and I were enjoying amazing conversation. 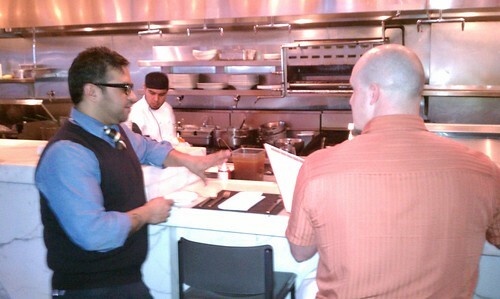 The sommelier came by to talk with Don and just to get our general impression so far of our dining experience. I love how personal the whole experience was becoming. We felt like we were dining at a friend's home, not at a restaurant. Don gave me the remaining half ounce from the tasting (right glass). I liked it! Now for the entrees! I had the diver scallops with pumpkin gnocchi, tangerine glaze, and sage beurre blanc. The scallops were cooked to perfection. My biggest complaint with the scallops was that I wanted more. ha ha! Don thought they were a bit too large, but they were perfect for me. The fried sage on top was crispy, full of flavor, and totally made me happy. And there is where the bubble popped, unfortunately. The pumpkin gnocchi was too soft. It was like eating undercooked pumpkin spice cake balls and there was just too much cinnamon. Don had the chicken fried kobe steak with slow braised mustard greens, butter whipped potatoes with bacon red-eye gravy. First off, I've only ever liked eating mustard greens once. This time, proved that the dislike streak would continue. Remember when I said I don't like chicken-fried things? Well, this chicken fried kobe steak wasn't any different. It was almost like eating overcooked liver and there was a small part of me that wanted ketchup (I know, shaking my head in shame). Unfortunately, it just wasn't well cooked, because even without the breading, the steak was NOT kobe steak. The one redeeming quality about this dish were the butter whipped potatoes. However, I don't want to think about how much butter went into them. I know it was a lot because it was good and buttery. One thing Don appreciated was the pairing of the wine with his meal. The Abstract pulled out a whiskey flavor for him that brought up an old college memory, which incited a fit of laughter at the thought. Despite the disappointment, we took half of it home for him to have for lunch. He thought it was ok enough. Finally, we enjoyed the banana pudding with whipped cream, and vanilla wafers soaked in Maker's Mark bourbon. The bananas were caramelized on top, as was the top of the banana pudding. The vanilla wafers had a Maker's Mark flavor explosion. Another thing I learned is that I seem to drink tequila drinks in the Spring/Summer and whiskey drinks in the Autumn/Winter. Tasting that Maker's made me happy, but also, I realized that I probably shouldn't be eating them because it was so realistic. 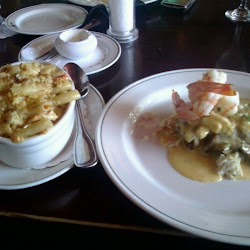 Not a bad thing, though because I was more than full! We took the rest of it home. This was a nice way to end a mostly spectacular meal. In summary, I really enjoyed Central 214 and would highly recommend it as a get together after work with friends, a romantic dinner, and maybe even a small intimate dinner with a handful of friends. The service is phenomenal! The food was mostly ok. The cocktail and wine selection is plentiful. I definitely hope to go back to enjoy that salad and to also try out the chocolate fudge waffle. It sounds divine! You looked so happy and the appetizer selections were so unique. Thanks for including the moldly smell comment in there. The smell factor is so important when it comes to the fine dining experience! 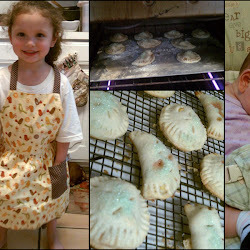 Good job girl!